Unload those heavy paper scores. 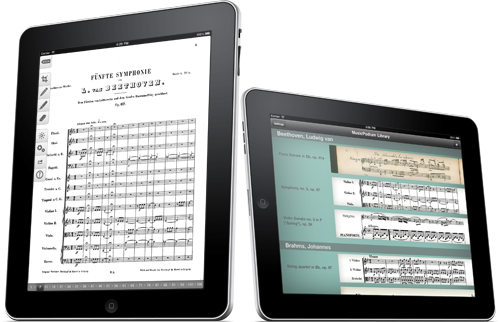 Be mobile and light with MusicPodium, the easy-to-use digital music reader and annotation program for the iPad. Get your music from the web. 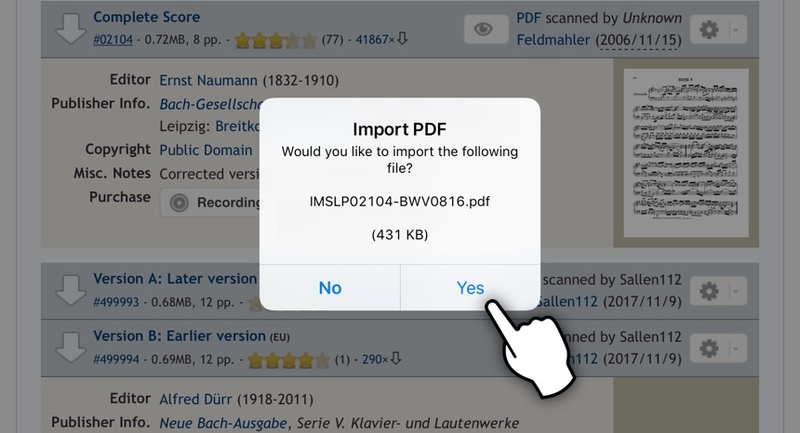 Download public-domain scores from the web, use your own scanned music, or import files from other apps. 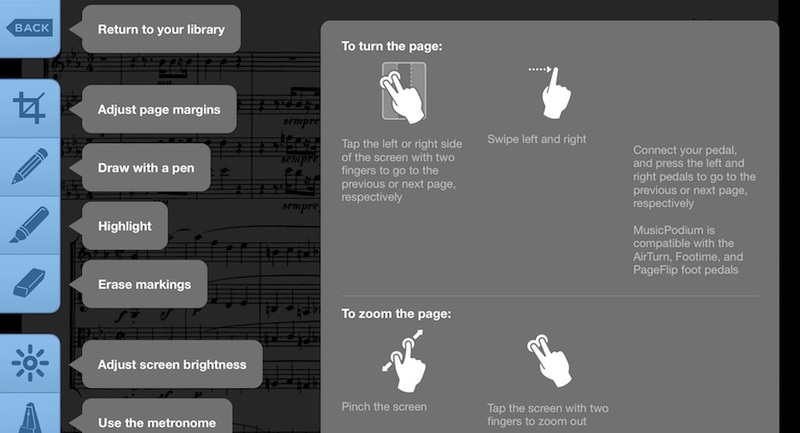 MusicPodium can read virtually any PDF file. 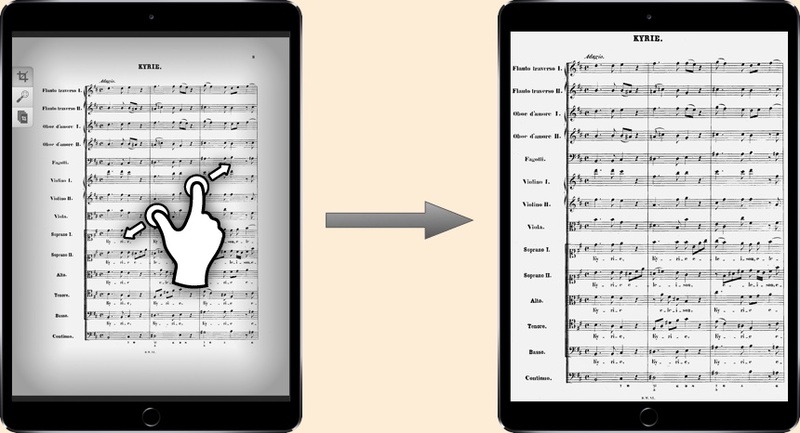 You can manipulate each page of the score so that the score makes full use of the screen. If you like how you placed one page, you can make all the other pages look the same. 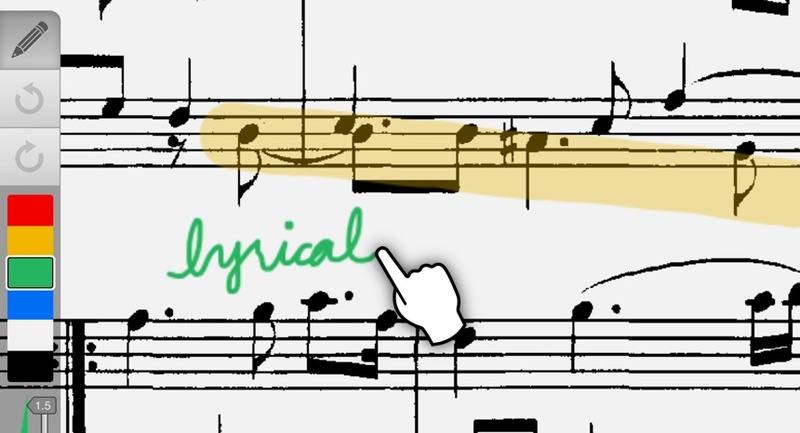 Annotate your scores with a pen or highlighter. Place bookmarks on your score to make it easy to jump to where you want to play. Avoid reading those long manuals. For assistance at any time, just touch the screen with two fingers and hold for one second. Use your foot for a change. Say goodbye to dog-eared page corners and choreographing your page turns. You can always swipe or tap the screen to turn pages, but MusicPodium is also compatible with pedals, including the AirTurn BT-105 Bluetooth foot pedal, the Fentek Page Turner, and the line of PageFlip Bluetooth pedals. Share with your fellow musicians. Export your music, markings and all, to PDF. AirTurn is a trademark of AirTurn, Inc.
PageFlip is a trademark of PageFlip, Inc.